How Do I Become a Sprinkler Fitter? Sprinklers must be fitted properly to provide protection against fires. 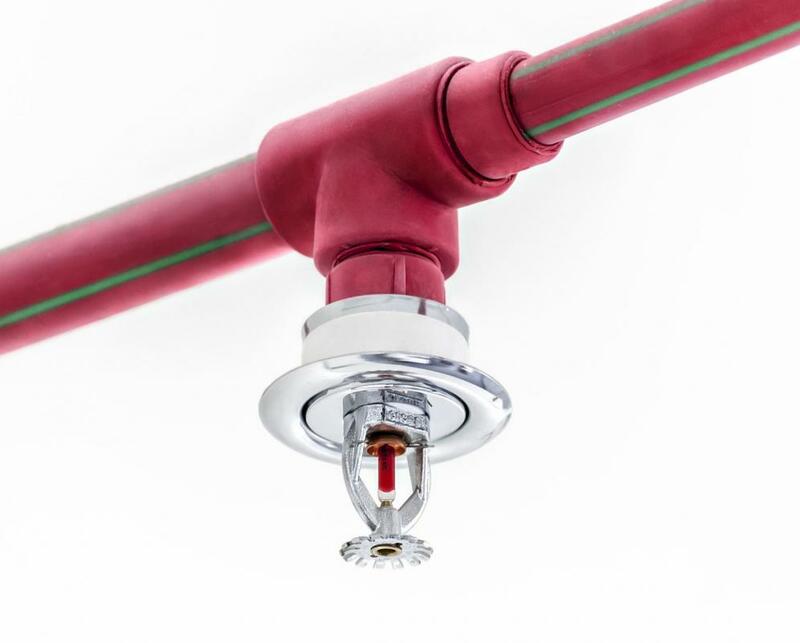 A sprinkler fitter is a person who designs, installs, and maintains sprinkler systems in buildings and other structures as a fire protection device. In most cases, you will need to complete a high school education in order to become a sprinkler fitter, at which time you can either take college courses or simply enroll in an apprenticeship if you qualify for one. Check with the local sprinkler fitter's union to find out if apprenticeships are available to help you become a sprinkler fitter. If such programs do not exist, try to find companies that do sprinkler fitting and inquire about apprenticeship or entry-level opportunities. A vocational or trade school may offer programs that will help you become a sprinkler fitter if a local union does not exist. Find out what the application requirements are, as well as what fees or tuition rates will apply to the program. Make sure the program you choose will cover all topics pertinent to the trade, and find out if the program will include all relevant certifications you will need to become a sprinkler fitter. Avoid programs that do not set you up to become certified with relevant agencies and governing bodies. If a local union exists, you should contact them to find out the best way to become a sprinkler fitter. Apprenticeship programs are usually available, but the competition for such positions can be fierce. Do not get discouraged if you do not get an apprenticeship position right off the bat; you may have to apply several times before a slot opens up for you. You can increase your chances of getting hired by taking a job in a related field such as plumbing or construction, and by getting good grades in school. Whenever possible, get letters of recommendation from current or past employers who can speak to your character and work ethic. Once you have been accepted to an apprenticeship program, be ready to work long hours and show you have a solid work ethic. You will earn less as an apprentice than you will as a full-time fitter, but you may end up being an apprentice for a few years in order to become a sprinkler fitter. Learn as much as possible about the trade and take all professional development opportunities that come your way; the more educated you become, the easier your apprenticeship will be. Establish strong relationships with employers and other fitters to help ensure a full-time position when you finish your apprenticeship. What Does an Apprentice Fitter Do? What Are the Different Types of Sprinkler Fitter Jobs? What Does a Sprinkler Fitter Do? What Is a Sprinkler Fitting? How Do I Become an Apprentice Fitter? What is the Difference Between Plumbers and Pipefitters? What are the Different Types of Lawn Sprinklers?